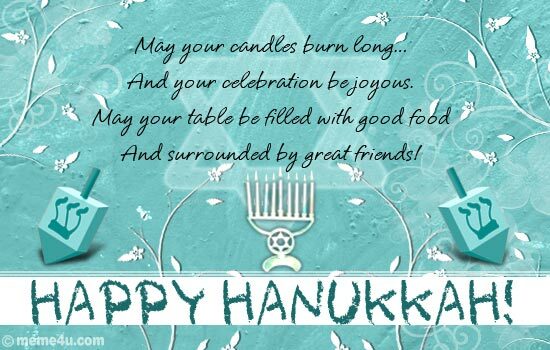 The first day of Hanukkah is the start of the Hanukkah period, also known as Chanukah or Festival of Lights. Many Jewish communities in the United Kingdom begin celebrating the miracle of the sanctified oil during this time of the year. The first day of Hanukkah falls on 25th day of the Jewish month of Kislev. Many Jewish people in the United Kingdom light one candle or oil lamp on the first day of Hanukkah. They also light one extra candle or oil lamp in case they need a flame or light for some other purpose. The candle or oil lamp is placed in a candle stick known as a hanukiah. This has space for eight candles or oil lamps and an extra one. The hanukiah may be lit in a private home, synagogue or a public place, such as Trafalgar Square in London. It is also common practice for people of Jewish faith to recite special prayers and sing or recite traditional hymns at Hanukkah. Jewish choirs perform songs and hymns. Families and groups of friends play Hanukkah games together. Children may receive real or chocolate money and gifts. Many Jewish people eat foods fried in oil, such as potato cakes and donuts, and dairy products. The first day of Hanukkah is not a bank holiday in the United Kingdom. There may be some congestion near synagogues. Jewish businesses may be closed or have different opening hours. Jewish children at state schools can obtain permission to have time off school to celebrate this holiday. The Jewish festival of Hanukkah commemorates the victory of the Maccabees over the Syrian Greeks sometime around 165 BCE. The Maccabees were a group of Jews and gained their victory after a war lasting three years. The Holy Temple in Jerusalem had been used for non-Jewish religious rituals during the war. Following the end of the war, the Maccabees re-dedicated the temple and found a single vial of sanctified oil. This was enough to burn in the menorah, or candle stick, for just one day. However, the rituals demanded that this burn for eight days. Miraculously, the flames in the menorah stayed alight for eight days. This is known as the miracle of the oil and is celebrated at Hanukkah.